The Washington State Department of Health is working with other public health agencies to investigate an ongoing outbreak of Salmonella illnesses in the state. Specifically, an outbreak that has sickened at least 15 people is associated with the Good Vibe Tribe Luau that was held on July 3, 2016 at Golden Gardens Park in Seattle. 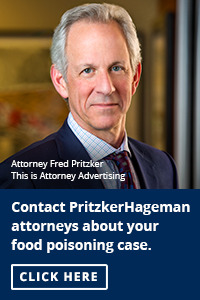 One other person in another county is also sick after eating pork at a private function. 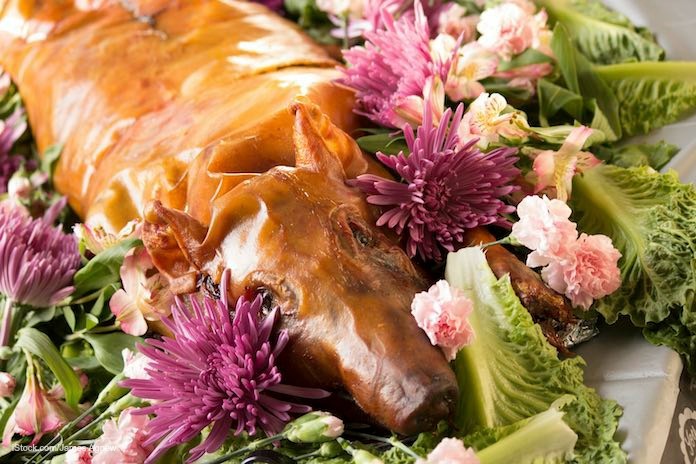 Everyone who was sickened at the Luau outbreak ate pork. The pork at the Luau came from Kapowsin Meats in Graham, Washington, according to a news release by Public Health of Seattle and King County. Pork from Kapowsin Meats was linked to a large Salmonella outbreak in the northwest United States last year. PFGE results from samples taken from some of the ill persons in the current outbreak match the results from last year’s outbreak. Because of this outbreak, the Tacoma-Pierce County Health Department is releasing information about food safety when cooking whole pigs. Establishments that butcher and handle roaster pigs and large cuts of pork must handle the meat carefully to avoid foodborne illness. Roasting a pig safely is a complex matter. After receiving the fresh, uncooked roaster pig, it must be kept at below 40°F before cooking. Walk in coolers are the best option, but if one isn’t available, keep it iced in a large cooler. You can also pick up the pig just before you cook it. A frozen roaster pig should be completely thawed before cooking. Avoid cross-contamination between the raw meat and coolers, sinks, cutting boards, knives, countertops, roasting pans, or other equipment or utensils that come into contact with the meat. Wash, rinse, and sanitize all utensils and equipment with a solution of 1 teaspoon liquid chlorine bleach to 1 gallon of water. Always use a digital thermometer when cooking these large pieces of meat. Every part of the pig must reach a temperature of at least 145°F. (Pork does not need to be cooked to 160°F anymore.) Some parts of the pig, such as the shoulders and hams, take longer to cook because they are thicker. Some of the thinner parts of the animal will reach higher temperatures. Try to keep the air temperature around the meat at 225 to 250°F so the meat won’t dry out. Always transfer cooked meat to clean serving dishes. Never put cooked meat on platters or plates that held uncooked meat. Leftovers should be packed into shallow containers and immediately refrigerated. Any leftovers that have been at room temperature for more than 2 hours should be discarded. If the air temperature is above 90°F, leftovers out of refrigeration longer than 1 hour should be thrown away. Always wash hands with soap and water after handling raw meat. Store raw meat away from all other foods. Thoroughly cook raw meats. And keep cold food below 40°F and hot food above 140°F. Don’t cook for other people if you are sick, especially with a diarrheal or vomiting illness. If anyone who works in a restaurant is sick with vomiting or diarrhea, they should stay home for at least 24 hours after symptoms subside.